Starting this Thursday, Dubai residents can download the UberEATS app and get their favorite food delivered right to their doorstep. 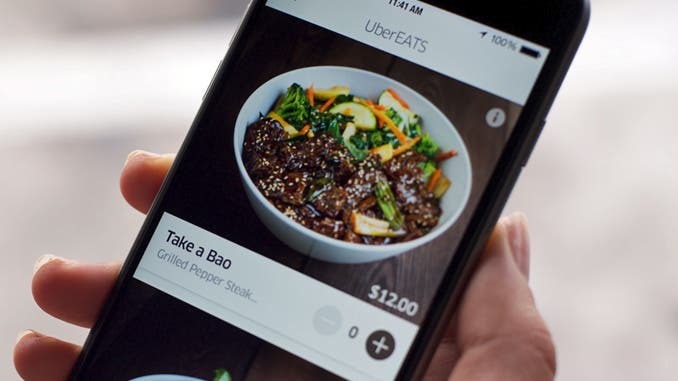 Based on the same technology used on Uber, UberEATS connects customers to dishes from hundreds of restaurants. The delivery service will be available through the app 11am - 11pm, all seven days a week and until 5am over the weekend, for those late night eaters. This launch will make Dubai part of the 32 cities across the world to offer UberEATS. To order, all you have to do is download the app, or go to the site, sign in and enter the details. You can then track your order as you wait eagerly for your meal. Customers get access to a wide variety of restaurants including Gustronomy, Taqado, BurgerFuel, The Hummingbird Bakery, Sushi Art and Pinza, which will be designing an exclusive ‘Uber Pizza’ to celebrate the launch. ‘Eaters’ can get 50 AED off their first order with the code DubaiEATS.